Starting his musical career as a drummer at the age of 6 and quickly moving into the studio as an audio engineer and music producer, Chooky has proven himself fit to explore most any musical landscape. After 5+ years of recording, mixing and producing for local artists, Chooky has started mixing tracks for shows that he is headlining himself. Rooted in hip-hop and flared with pop, Chooky’s latest mixes are dance-inspired, drawing from his work in the hip-hop industry and his appreciation for electronic music compositions. With a handful of originals and official remixes released under labels including Atlantic, OWSLA, Bonerizing, Strictly Rhythm, T&A, Sweet Shop Records, Seclusiasis, and Big Vision, Chooky sheds an alternative, electronic light over his already established world of hip-hop and pop. He has received support from key players including Benny Benassi, Markus Schulz, 12th Planet, David Heartbreak, Candyland, Tittsworth, and Dave Nada amongst others. 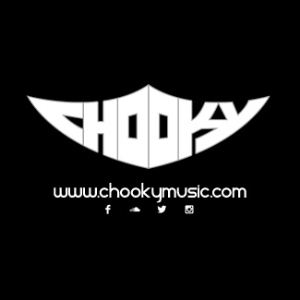 Influenced by this generation’s rising music genre of house, dubstep and drum & bass, ChooKy feeds off the energy created by the culture of the music. From millions of pulsing hands at music festivals, to the raw passion seen in small recording studios, Chooky wants to experience it all.